Tired of carrying wallet just for the sake of carrying travel cards? Now, keep your cards in one card holder and carry it wherever you like. Buy Primeway Chip Card holder Black at Rs 129 only on Amazon. Hurry!!! Order now. 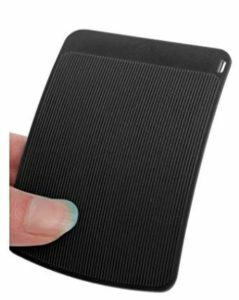 How to Buy Primeway Chip Card holder Black at Rs 129 only? Suitable for holding most frequent-use travel card for e-payment. Special curved shape is tailor designed for a trousers pocket. Card is held securely but ease to slide in or out.